The battle to stop rogue landlords blighting parts of Birmingham with ugly and badly designed extensions is heading to the House of Commons. 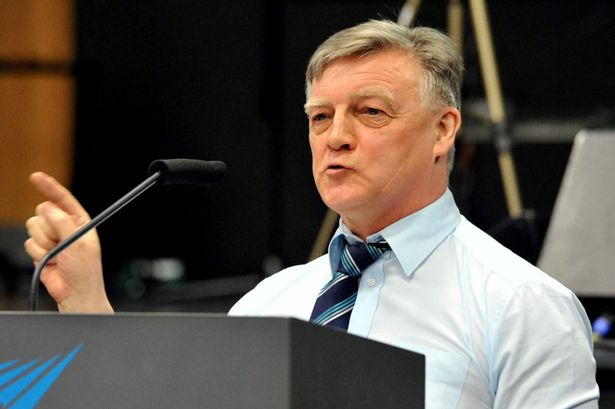 In a key speech, Selly Oak MP Steve McCabe will demand changes to the law to stop builders and landlords flouting planning regulations and making neighbours&apos; lives a misery. Mr McCabe wants to beef up planning enforcement and impose fines on landlords who over-step the mark. A recent high profile case involved Gerard and Christine White, of The Hurst, in Billesley, south Birmingham, who found the planning authorities unwilling or unable to act when their neighbour extended his house so far that their rooftops shared a gutter – virtually converting the retired couple&apos;s detached house into a terrace (see gallery below). They are currently involved in private legal action over the case. At the time Mr White said: "This will knock thousands off the value of our home." Scores of former family homes in Selly Oak have been heavily extended and converted into shared homes allowing landlords to cram in more students and maximise profits. The rampant practice has been described as turning the area into something resembling a Brazilian favela or slum. Now Mr McCabe has drawn up a Ten Minute Bill which he will put before the House of Commons in November hoping to win the support of fellow MPs. The Labour MP said the creation of permitted development rights in 2013 had allowed rogue landlords to run riot. Mr McCabe said: "The planning rules were changed for the right reasons, to allow people to extend their homes, but this has been exploited ruthlessly by these landlords. "They are cutting corners, building beyond the plans and in some cases building things I think are deathtraps. At the same time the planning authority, Birmingham City Council, has been cutting back on enforcement – it can&apos;t afford to investigate." Bills introduced under the ten-minute rule are one of the ways in which backbench MPs can introduce legislation. Mr McCabe said enforcement had been &apos;tailing off&apos; over recent years. In 2006 the council took enforcement action 166 times, but this had steadily declined to just 56 actions last year. "The landlords and builders are getting away with murder and, given the nature and quality of some of these extensions, that could literally be true." Recently there have also been crackdowns by the Border Agency and HMRC to identify rogue builders cutting corners, avoiding tax and even using cheap illegal immigrant labour. Mr McCabe said he had the support of a number of MPs whose constituencies are similarly blighted and he hoped that, if endorsed by the House, the Bill would be taken up by Government or considered for a Private Members Bill in the new year. - Government to produce clearer guidance on permitted development rights and planning authorities responsibilities to prevent abuse of the system. - Introduction of an independent right of appeal process for residents when a council refuses to take enforcement action against a developer who flouts planning permission. - Ensure all extensions built under permitted rights are independently checked to ensure the quality and safety of the construction. - New powers for planning authorities to fine developers who breach planning law as a deterrent in cases where full enforcement – such as demolition of the offending building – is not considered &apos;expedient&apos;. The Community Partnership for Selly Oak has campaigned for more controls on rogue landlords and called for limits on houses of multiple occupation. CPSO chairman Barry Toon said: "We have parts of Bournbrook which are 80 per cent HMOs and have seen five room houses extended into ten and 12 rooms, with doors bricked up. "There are not only concerns about the character of the area, but the quality of some of the building. We support anything which gives more control over excessive building and the council more enforcement powers."